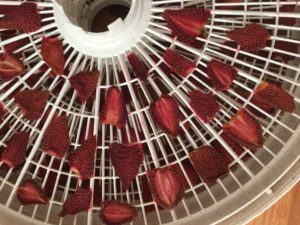 Dehydrating strawberries is easy, simple, and the taste is incredible! The strawberry flavor is intensified and it's like candy. Add them to granola, trail mix, or just eat them plain when you want a taste of summer. 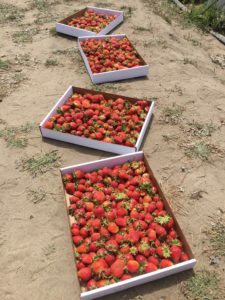 Slice strawberries - ensuring they are roughly the same thickness and size. 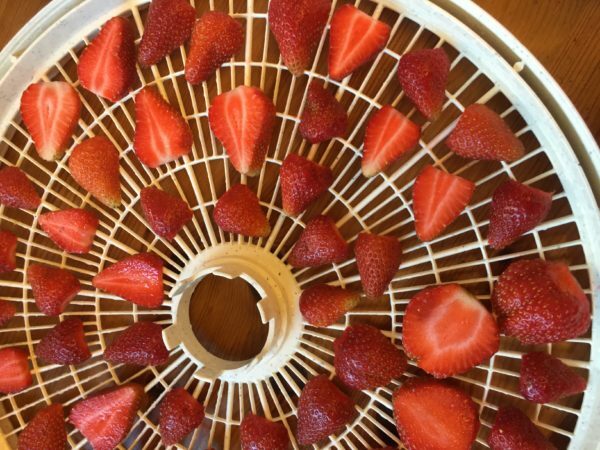 If using a dehydrator - lay them evenly spaced on dehydrator trays and set your dehydrator for 130 degrees or the fruit setting. Dehydrate for approx. 6 hours or until they have lost their moisture. If using the oven - use parchment paper and a cookie sheet. Lay strawberries on parchment on the cookie sheet, ensuring they do not overlap, and use the lowest setting of your oven (most ovens start at 160-170 degrees). If you're oven light gets hot, you may just use your oven light. Dehydrate for approx. 4-6 hours, check on them occasionally to ensure they do not burn. This is how mine looked when done. Approx. 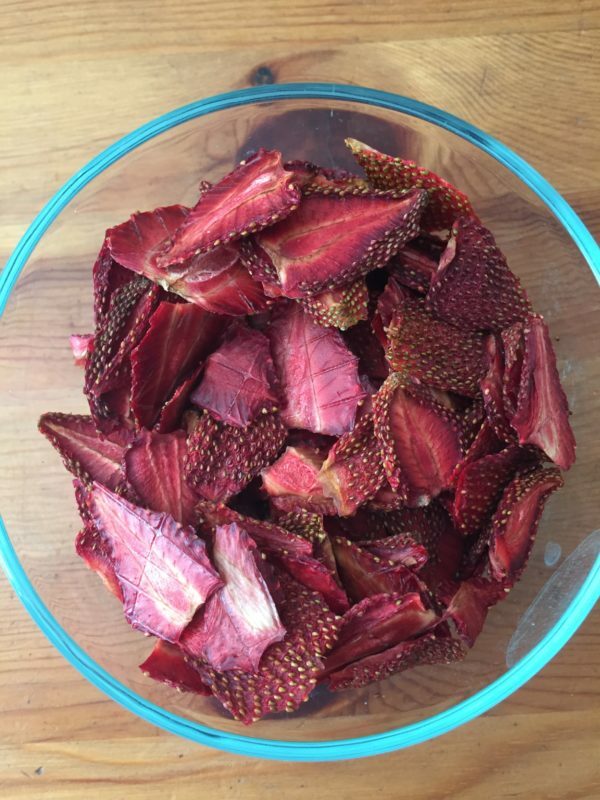 8 cups of strawberries dried to 1 cup of strawberry chips.